An advisor can be reached practically anytime to obtain answers to questions or arrange service. We work very hard to offer next-day repair. Most of our customers select the extended parts and labor warranty which INCLUDES batteries and NO trip charge. Only two things are not covered by our warranty: abuse or damage normally covered by homeowner’s insurance. Very few companies in DFW offer such a warranty. DFW Security Advisors was started by marketing and technical people with decades of experience in the security industry working for national security companies such as ADT, Brinks, Westinghouse and Protection One. Over the years, it became obvious to us that these large national security companies spent millions of dollars on advertising to obtain their customers but spent very little on customer service to retain their customers. Our goal, once you become our customer, is to keep you satisfied so that you will remain our customer and, furthermore, to bring us new customers by word of mouth. Instead of massive media advertising, we depend on referrals from existing customers. Money spent on service, instead of advertising, is the secret to obtaining and retaining customers. We realize that no one will refer a friend, relative, or business associate unless they themselves are satisfied with the product. Once you become our customer, we will keep you satisfied. 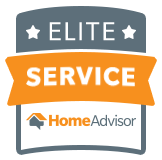 Prompt service, superior warranty, and easy-to-reach advisors all lead to the best customer experience. That is what one could expect from making us Your DFW Security Advisors.